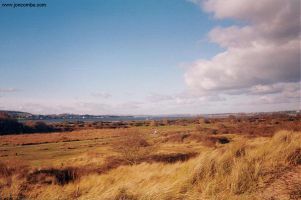 The first part of this walk is along the sea wall above the beach and adjacent to the busy Great Western railway line. 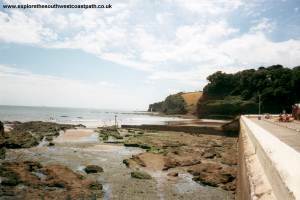 This flat path takes you into Dawlish Warren, past the Red Rock Cafe. This part is 3 miles, however walking up to the very end of the Warren and back again is approximatly another 3 miles in total. 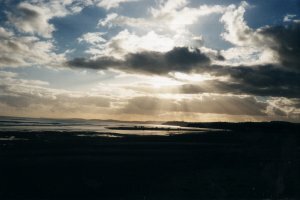 There are excellent views all around the coast from here, plenty of places for refreshments and the intersting nature reserve and visitors centre at Dawlish Warren. Dawlish is on the A379 from Exeter, which connects with junction 30 of the M5 Motorway. There is a fairly limited parking near the coast, the biggest car park is the one at the station. There is a station in Dawlish which has hourly services from Exeter, Exmouth, Torquay and Paignton. There are also services from Plymouth, Penzance and London (Waterloo and Paddington), every day to Dawlish. 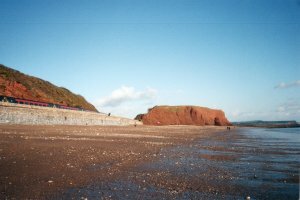 There is also a station at Dawlish Warren, which has trains from Torquay, Paignton, Exeter and Exmouth, as well as some longer distance services, especially on summer Saturdays. Services to both stations are less frequent on Sundays, particularly in the winter. For more information call 08457 48 49 50, or follow one of the links below. 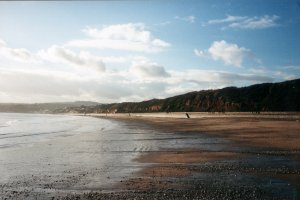 Alternativly, there is a bus service approximatly every 20 minutes from Exeter, and Teignmouth, and also frequent services from Torquay and Newton Abbot. These are services 85 and 85A, operated by Stagecoach Devon. For more information see the links below. There is a good range of accomodation in Dawlish. 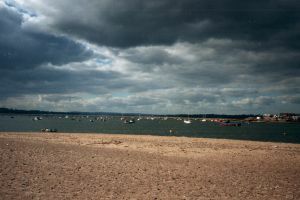 There are also several large caravan parks at Dawlish Warren. The links below are useful when searching for accomodation. 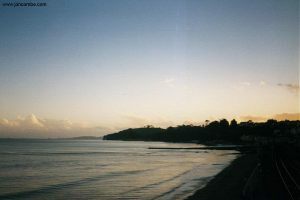 A1 Tourism Hotels in Dawlish. This walk starts on the sea wall near the station. Acces is under the low railway bridge at the end of Dawlish Water. 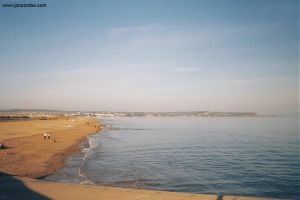 From here, just turn left (when facing the sea), along the sea wall to Dawlish Warren. This is a mosty flat and easy walk. 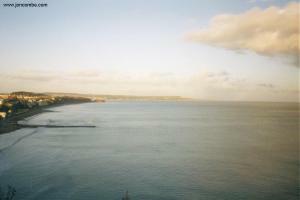 There are excellent views of the coast round to Thatchers Rock, near Torquay and Start Point to the south, and towards Beer and Portland in the east. 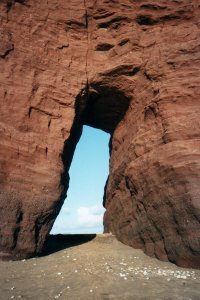 There is a small section of the path which drops to a lower level for a short time. It is passable at most times of the day but around high tide it's covered, so you will need to divert in land. There is a footbridge over the railway line which brings you out onto the main road. Carry on to Dawlish Warren, and there is soon a sign back over the railway line to re-join the sea wall. 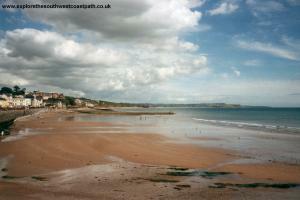 If it's low tide and you don't want to walk next to the busy railway line it is possible to walk along the beach. 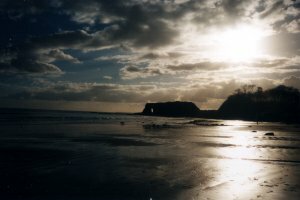 At the end of the beach, by the red rock, there are steps back to the sea wall. The scenry here is particularly good, with the bright red rocks, one of which has a hole through. 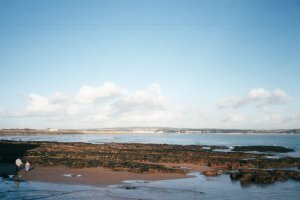 The sea wall passes the Red Rock cafe, which is generally open whenever the weather is nice, and has a small range of food, and drinks and ice cream, as well as friendly staff. 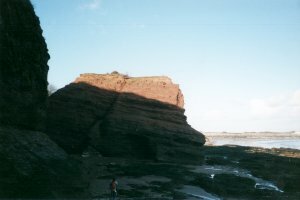 From the red rock cafe it is a short walk to the Warren. There is a path along the back of the Warren for a while, but it gradually disapears. 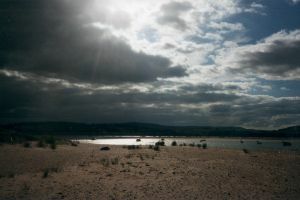 It can be quite tirgin to walk to the end of the warren, as the soft sand makes it hard to walk, but it's interesting and gives good views of Exmouth, just a short distance accross the Exe estuary. I think there is also an inland path for part of the walk here. 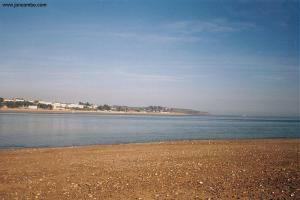 There are refreshments and accomodation available at Dawlish Warren, though a lot of it is closed in the winter. 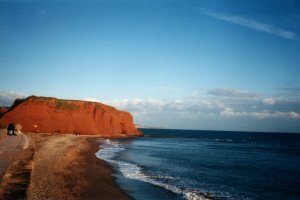 The most scenic way is to return by train from Dawlish Warren station. Trains run approximatly every hour for most of the day, although the services is less frequent on Sundays. On summer Saturdays the service is more frequent. Most services are local services from Exeter or Exmouth to Paignton, Newton Abbot or Plymouth. Longer distance services call at weekends. 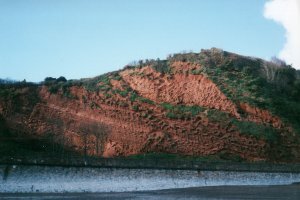 Alterntaivly bus services operate every 20 minutes for most of the day between Dawlish Warren and Dawlish, on serivce number 85 and 85A. For more information on bus and rail services, follow one of the links below. Ordnance Survey Landranger map 192 covers this area of the coast path and is available from most book shops nationwide. It is also stocked at the tourist information centre in Dawlish. 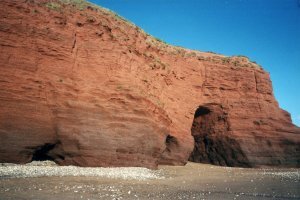 Multimap is a web site which provides maps of the UK, including around around Dawlish and Dawlish Warren. 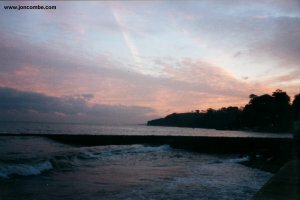 The links below will be of most use to the coast path from Dawlish to Dawlish Warren. These maps join to provide the complete coast path between the two points.